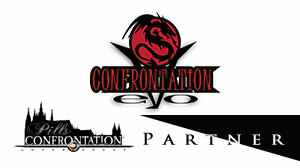 Confrontation Evo team is glad to inform you that the long waited release of the Italian version of the single C5 manual is here! Well, the famished pdf clubbing together C3 and C5, making the consultation of rules easy and simple. It will not be needed anymore to refer to the old C3 “black book” and browse the C5 pdf, looking for the replacing paraghraphs. And it will not be needed to treasure hunt the mentioned “black book”, which nowadays is so hard to find! All together, all united, all simple, all convenient. And, if you are wondering about any rule change, none was done. This document simply makes it easier to read the old C3, the not-so-old C5 and the recent FAQs. 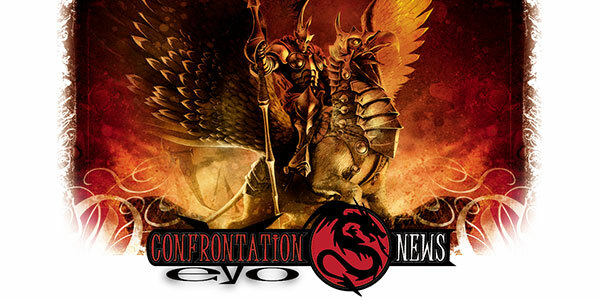 The new manual is available here, on Confrontation Pills. Regarding the English version, it will follow asap, and it will not be too far away in time. For those of you able to understand Italian, you can have further details in this video, recorded by Maurizio MGSolid. And this is just one of the many news for this 2016! We hope you are fully loaded amd your miniatures are waiting with impatience to march on the gaming tables! Besides, this weeked there is going to be a tournament in Fucecchio (italy)!